Home > FINANCIAL LITERACY > Zerodha - Money lessons - Finance made easy for kids..! Zerodha - Money lessons - Finance made easy for kids..! 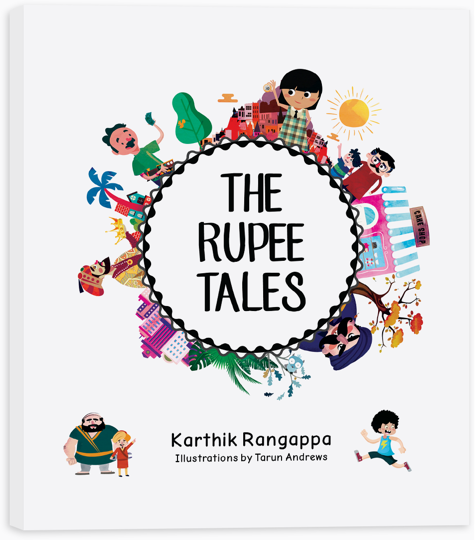 Zerodha - Money lessons for tiny tots.. The 5 book series has stories that focus on key financial concepts such as the importance of saving, the impact of inflation and the need for banks. There is also a story that explains the concept of insurance, the role of taxes and how the stock markets work. Children aged 7 to 10 years will find these books interesting as well as informative. A spokes person of Zerodha said the company is committed to spreading financial literacy among children. In the pipeline are a series of books for older children in the age groups of 10 to 15 years and 16 to 19 years.